Just over a mile to the west of Teme Bridge on the A456 lies Burford House and Gardens. Once a Georgian house set in seven acres of ornamental gardens and now a garden centre, cafe, garden and retail outlet. There is also a salvage shop and yard with some interesting bygone items for sale. 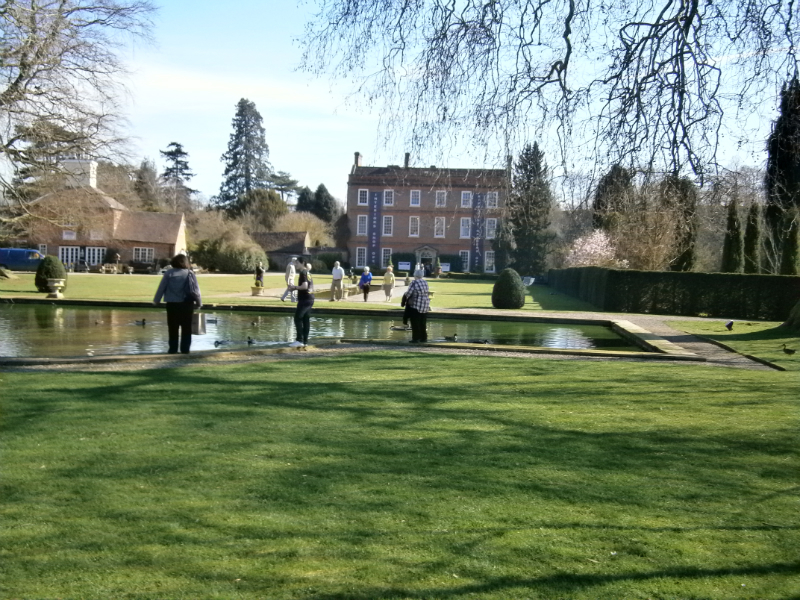 Well worth a visit for adults and children alike with a childrens playgound, ornamental duck ponds and a magnificent wisteria covering the whole of the rear of the house. To the rear of the house there are beautiful ornamental gardens for you to explore which were originally the home of the National Clematis Collection. The gardens were laid out in their current form by the late John Treasure in the 1950s and if you search hard enough you can find the stone remains of an earlier Norman castle. At one point in the garden, where The Ledwych Brook meets the River Teme is the spot where the three counties of Worcestershire, Herefordshire and Shropshire meet. Originally part of the estate, Burford Church can be found next door to Burford House and is itself worth seeing, particularly for a fascinating triptych (three boarded painting) beside the altar.